A Beautiful Light is no longer with us. Armando enjoyed providing music for belly dancers and lovers of the genre with the band Sirocco. He gave bellydancers a chance to shine with his support and encouragement. He was a drummer to the core. He dedicated more than 40 years performing the music of the Mediterranean and North African peoples. 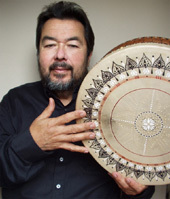 He toured the United States, Mexico, Canada and Japan, produced five celebrated albums of his own music and instructional DVDs and CDs on the playing of Arabic percussion instruments. 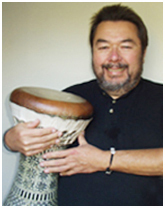 An exciting and innovative powerhouse player, Armando as Uncle Mafufo, was also a respected teacher of Middle Eastern percussion, his unique style of communicating rhythm counts and nuances made him a treasured instructor from coast to coast and beyond. 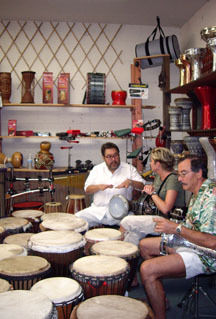 Armando taught percussion for doumbek and frame drums with clear information about the rhythms relating to Middle Eastern music in his own distinctive style, relaxed and friendly with humor and sensitivity. His instructional DVDs and CDs reflect the same patience and care. Armando was a recording artist and performer who worked and recorded with national and international musicians. His own original compositions on CD reveal the possibilities of rhythm as a focal point in music as well as the beauty of the rhythms themselves. As lead percussionist in the band Sirocco, Armando was a melodic doumbek player and master of shading and textures on the Arabic drum. 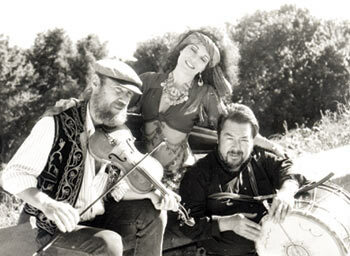 Sirocco had been Delilah’s favored band since their initial collaboration in 1992 and is featured on her DVDs. Besides Sirocco, Armando also played with musical groups Nuba (Tunisian music), Orient’al (Egyptian), Dulce (Puerto Rican and Cuban), The Juan L. Sanchez Ensemble (popular Spanish) and with various small musical groups in Santa Cruz, California. He had been invited as performer and teacher for shows, workshops, and seminars nationally and internationally since 1980.